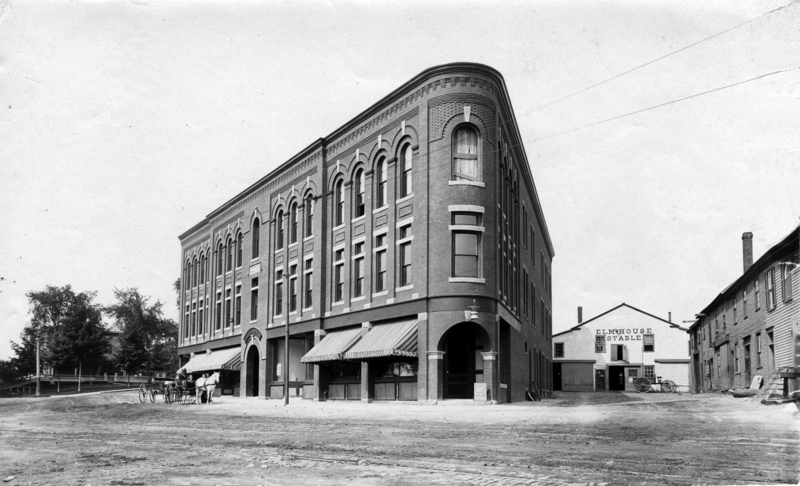 The Musgrove Building which dominates Elm Square was built in 1894-95 by John H. Flint. The retail and office building was not built on actual site of Elm House, as had often been said. The Musgrove covers what was once the open "Common" grass plot also referred to in deeds as "the Green". "Village Green" . A portion of the site to the rear on Elm St. is where the hotel stood and the Elm House stables. The property was sold to Frances A Flint on on June 30, 1892 and transferred to John H. Flint on Sept. 2, 1892. There was talk of renovating the hotel or building a new one but it was later dismantled in 1894. The old hotel was no longer a profitable operation and after several meetings with local businessmen Flint sold the building for salvage in April 1894 and began construction of the Musgrove Building on the site of the former Common. Before Flint built, some townspeople, supported by editor of local paper, tried to save spot for "open space". It is interesting to note that he was somehow able to build on the very common that both Thomas C. Foster and his father John Flint had placed a deed restriction on years before.The Musgrove is the largest business block to be built in the town center and opened in the spring of 1895. John H. Flint was a successful business man in real estate and the market. He became the president of the Tyer Rubber Co. in 1876-1882 and treasurer from 1882-1914. 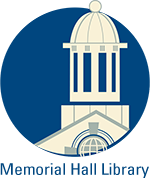 Flint also served as director and president of the Andover Savings Bank, director of the Andover National Bank and the Merrimack Mutual Fire Insurance Co. He was active in town affairs and served as selectman, assessor, town clerk, treasurer, chairman of the Board of Public Works, Chief of the Fire Department and served on several committees. He was past Master of St. Matthew’s lodge, member of the Andover Lodge of I.O.O.F. and the Andover Club. Flint hired Architect W. P. Regan of Lawrence to design the building. 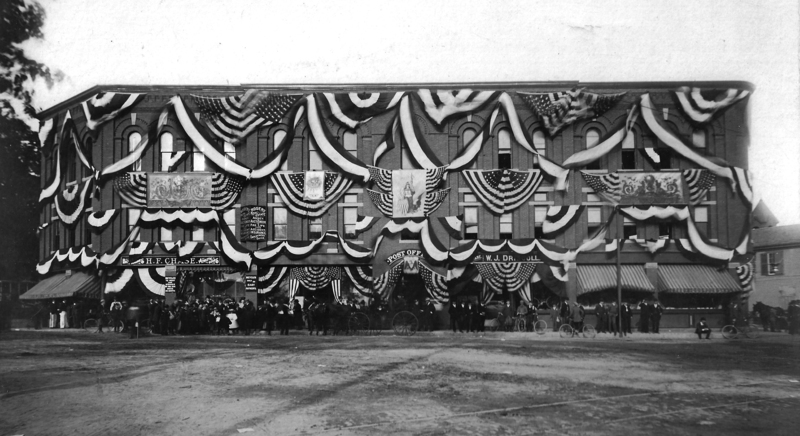 Regan was the architect for the Indian Ridge School on Cuba St. in 1892. June 15, 1894 – Andover Townsman (AT) p1 - Architect W. P. Regan has plan well underway for John H. Flint’s new business block in Elm Sq. Brick, three stories high. The building was named for Sir. John Musgrove, an Uncle of Henry G. Tyer, founder of the Tyer Rubber Co. and Great Uncle of Frances Flint. The inheritance may have helped finance the building. John H. & Frances A. co-owned many properties in Andover. John H. Flint died Nov. 30, 1916 and his wife and daughters inherited the estate. 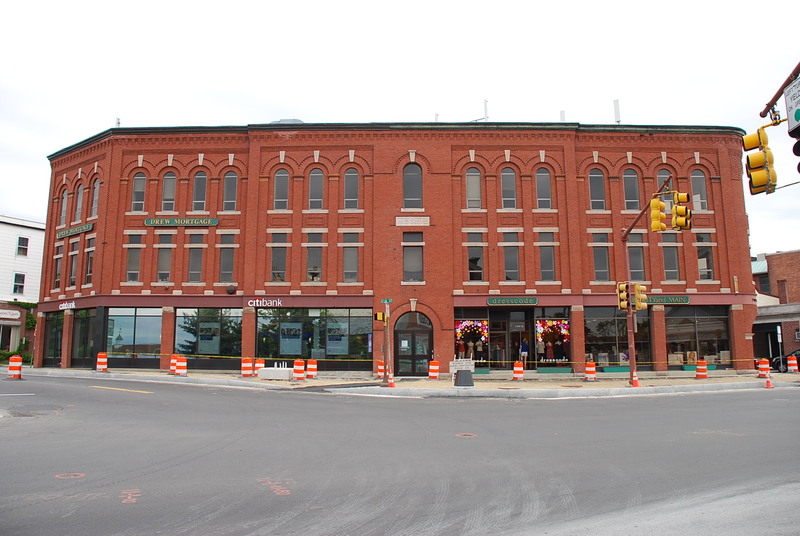 The Musgrove Building was sold to Louis & Samuel Resnik on Sept. 27, 1920. Frances Flint died on March 22, 1922, daughters Nellie and Gertrude then sold the Flint mansion to Building Trustees of St. Mathew’s Lodge A.F. & A.M. of Andover, MA on Sept. 28, 1922. 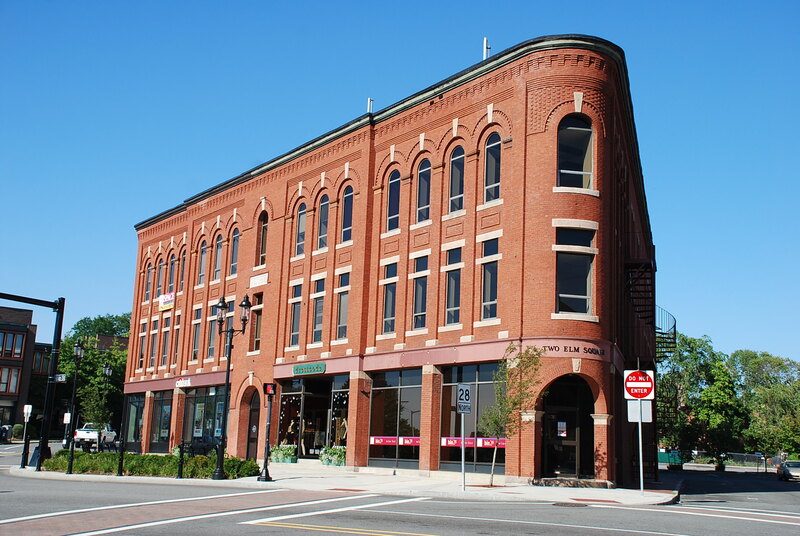 The Musgrove Building has been home to many the tenants who leased space in the impressive Romanesque style building. The Andover Post Office moved out of the Town House and into the Musgrove in July 1895. AT - July 12, 1895 – p 4 col. 6 – New Post Office description in Musgrove building. The entrances to the Post Office were through the main arched doorway on Elm Sq. and a second door to the rear of the building on Post Office Ave. The office occupied the southeast corner of the building. The Post Office moved to 28 Essex St. in March 1917. William H. Welch & Co. plumbers then moved into the P.O. space. Allen Brothers, E. M and Wm. A, druggists, had the SW corner drugstore and specialized in ice cream sodas (p. 33 Business History). Herbert F. Chase ran Andover Bicycle Store established 1891 at 13 Barnard Court then moved here in June 1895. It is said Chase was the first tenant in the building, as he was in Barnard's building. He would later be the first tenant in the ARCO Block in 1907 at #48 Main St. Chase dealt in all kinds of bicycles and athletic goods, and was the agent for Columbia bikes. He began his career as a machinist for 10 years, with six years employed by the Smith & Dove Co.
W. J. Driscoll opened his Hardware store next to Allen's Drug Store in 1895. He kept a full line of hardware and cutlery and was also an agent for Stearns & Crescent bicycles, giving H. F. Chase a run for his money. AT - Mar. 28, 1913 pg. 5 - After 20 years in pharmacy business, William A. Allen sold business to Frank Stacey (who had been in the National Bank building). Allen will retain the Victrola business. Stacey plans to move into Allen’s space in the Musgrove Building; will hold on to bank location for a while. Finally closes that in May, 1913. Andover Agency, Insurance/Real Estate (1903), Andover Coal Co. (moved to 27 Main St.), Andover Craftsmen, reupholsters (1948), Andover Finance Company, Andover Indoor Golf School (1928), John Voglatzakis Shoe Repair (1926), Andover Square Shoe Repairing & Shine Parlor (1930), (Emanuel) Baduvakis Shoe Repair. Chin Sewey, Chinese laundry (to Post Office Ave in 1913), (P.J.) Daly, dry goods and groceries, (Tony) D’Amore’s Shoe clinic, DeQuattro’s Restaurant (1948), Diana Beauty Salon (1948), Diane Lane Beauty Shop, Doherty’s Insurance, original location, 1934, Eagle Lunch (1938), Emack & Bolio’s Ice Cream (1987), Ferguson, John, jeweler (1920) – 1923 to 41 Main, Freddie’s Barber Shop (1950/55) “next to Look Photo”, (Richard) Graber Photography 1960s. William Foster, Jr. - Aug. 16, 1816 - b. lf. "Foster’s Tavern"
Capt. Thomas C. Foster, (Abigail) - Oct. 20, 1815 - b. 207 leaf 170 - $3500. Aaron Davis Mayo, wife Sarah - May 10, 1825 rec. June 20th -	b. 239 leaf 135 - "Mayo’s Tavern"
Jonathan W. Ward, wife Mary G. - Oct. 20, 1832 - b. 267 leaf 122 - "Ward's Tavern"
Wm. Phillips Foster - Feb. 1, 1861 - b. 618 leaf 170 - 172 - "Eagle Hotel"
Resnik Realty Invest. Trust - Mar. 6, 1922 - b. 454 p. 532 deed of Trust. Major Alterations renovated after roof fell in ca. 1974/75, retail shop renovations 1990's and as needed by tenants.